Lobster... Red... Delicious... Exotic... Lobster...! The most coveted food for any tourist or visitor to the Maritime provinces of Canada, lobster. These delicious creatures, are bottom feeders in the ocean. They crawl and walk the ocean floor in search for food until a tempting piece of fish inside a cage beckons them to come, stay... and become a catch for the Lobster Fisherman. 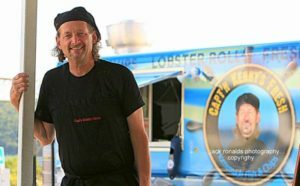 Living in Nova Scotia, Capt'n Kenny has had the pleasure to meet many fishermen, who have repeatedly invited him to be on their boat. Recently, the Capt'n had the honor to be on the Seawinds, invited by his Capt'n, Tony Gaudet from Janvrin's Island here in Nova Scotia. 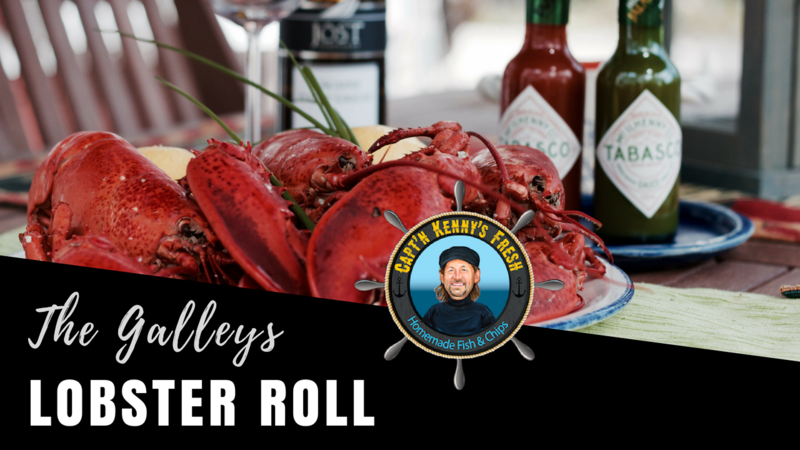 That adventure will soon be released under a new series that we are calling "From the Sea floor to your table", but for now, Capt'n Kenny is showing in this new video, how easy it is to cook a Lobster and make a Lobster roll. Enjoy! 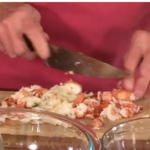 Whether you buy the lobster already cooked or buy it alive and cook it, this recipe, along with the video, will show you how to prepare Capt'n Kenny's delicious Lobster Rolls. You can find the method for cooking the Lobster after the recipe. 1/4 Cup Fresh Chopped Celery Leaves plus the main artery of the celery stalk which is the most tender finely chopped. You will need:- Large Pot with Lid- Two inches of Fresh Seawater for 6 2 1/2 Lb Live Lobsters. (note: If you are only cooking 2 - 3 live lobsters then only use 1 inch of Fresh Seawater)- Bring Seawater to a vigorous rolling boil- Remove Claw Rubber Bands from both Lobster Claws (Note: use a knife or a pair of tongs to remove them) Never cook the Lobsters with the bands on as the meat will take on the taste of rubber. - Cool the Lobster Heads and then place them in a freezer bag and freeze. Never throw away the Heads and Shell Stock these remains make an amazing Seafood Stock for chowders etc. ← French Mermaid Onion Soup. Onion Soup with Seafood!